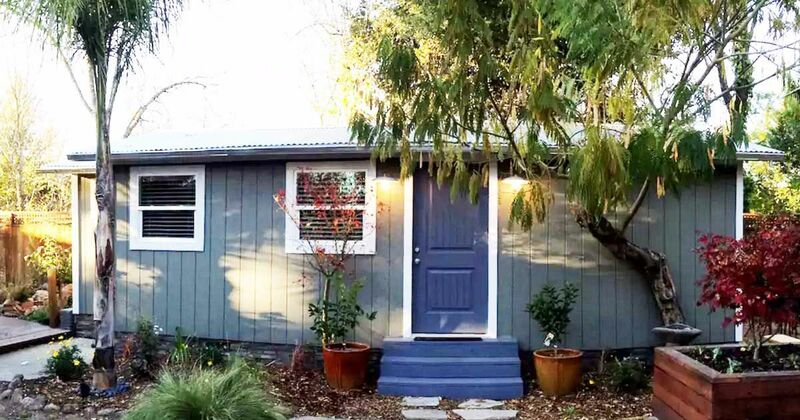 This cozy Sonoma, California, cottage has both a modern and vintage flair with the most beautiful gray-blue color pallet. For those reasons alone, we are currently obsessed with Heather's design and the obvious care she's put into remodeling this home. The kitchen is bright and open with a vintage piece you'll just adore, and modern appliances you'll wish were in your own kitchen. Plus, the living room is airy, pretty, and boasts the most beautiful door that leads into the dreamy master suite. 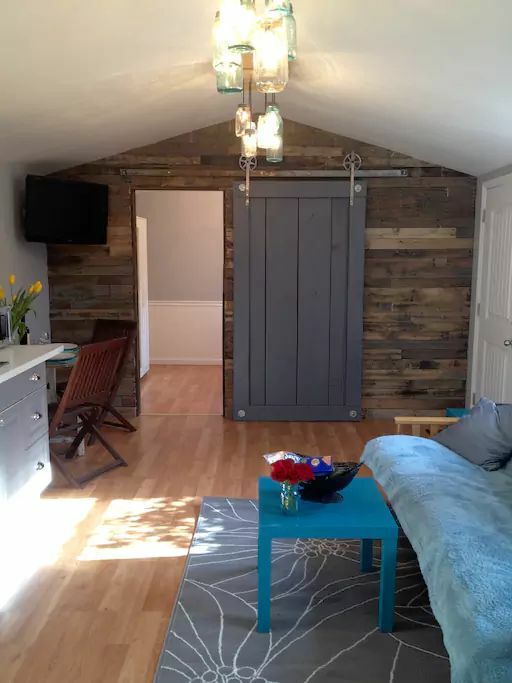 Don't waste any more time - scroll through the pictures below and check out this pretty little cabin. Check out this updated kitchen! We love everything about it - from the stone countertops to the stainless appliances - but we especially love those two toned cabinets. 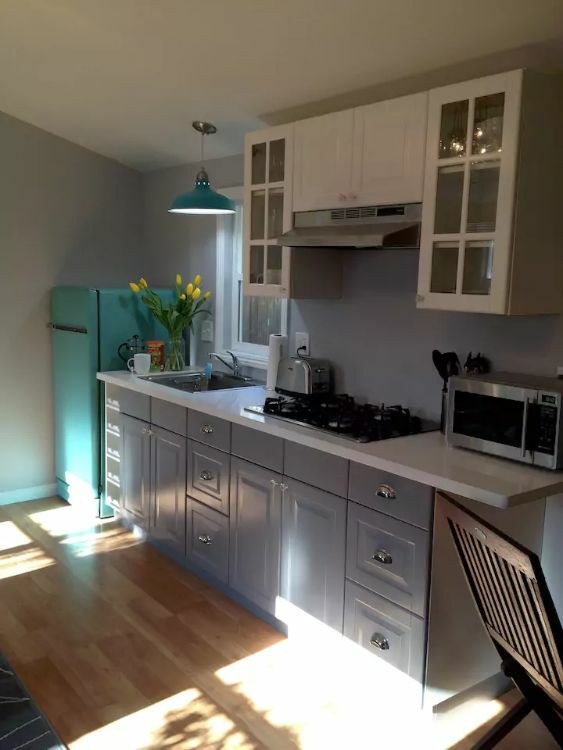 And you can't miss that teal, vintage-inspired fridge in the corner! We really admire how Heather worked with her tiny kitchen by giving it flair in lieu of space - accenting it with statement pieces like this. The kitchen opens right up into the living room that's flooded with tons of natural light. We have to admit, though - your eye goes right to that back wall covered in beautifully weathered wood and that sliding barn door. Having the sliding door not only looks great - it adds privacy to the master bedroom in the back, while still allowing the space to feel open. 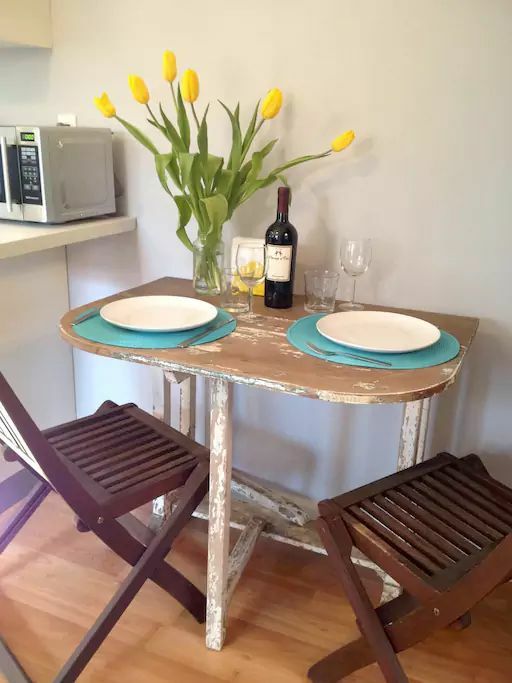 Right off the kitchen is also a quiet little breakfast nook, perfect for biting into a croissant, sipping on tea, and reading the paper first thing in the morning. You could also opt for breakfast in bed - which isn't such a bad idea when you take a look at this wonderful bedroom. 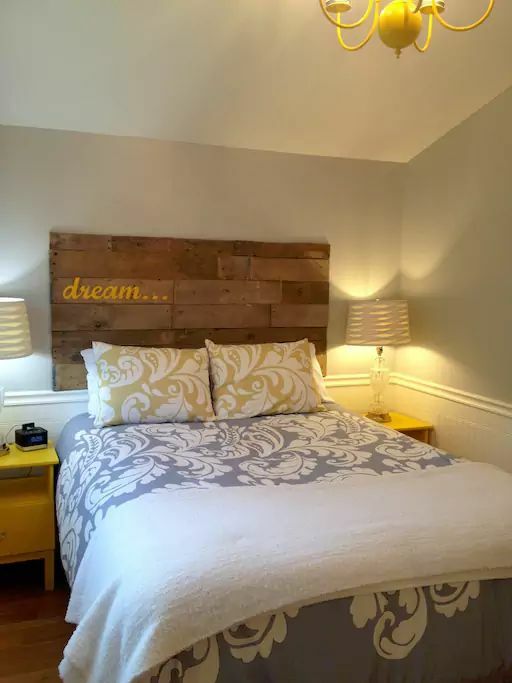 The pop of yellow in the side tables is just divine - and we can't get enough of that wooden headboard. It might be hard to pry yourself out of Heather's cozy little cabin, but you won't regret it once you get outside to the amazing patio. 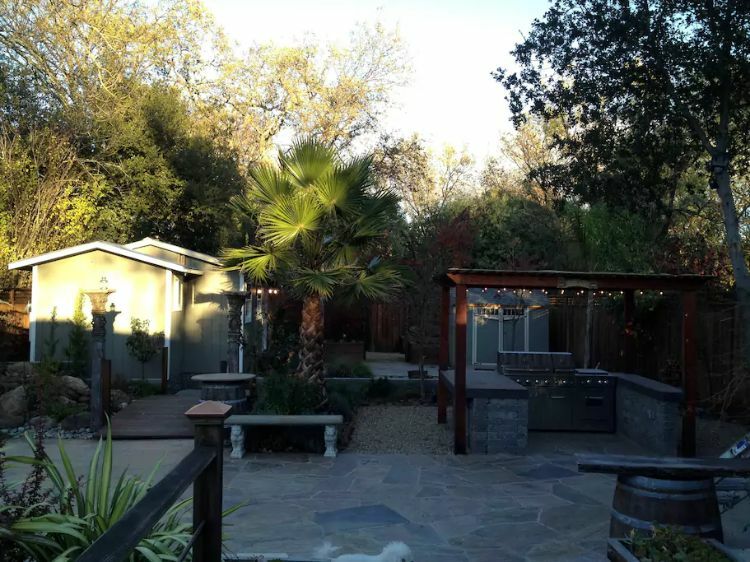 Here there's access to an entire outdoor kitchen, a lounge area, and of course a fire pit! The attention to detail just doesn't end. Amazed by this tiny little property and its beautiful design? Be sure to share it with your friends on Facebook, Twitter, and Pinterest.